Posted March 30, 2015 by K.C. Hopson & filed under Event Rebels Blog, Meetings Technology, Mobile, What's New. In one of the biggest changes ever to happen to Google’s search ranking algorithm, the behemoth announced that websites that are “mobile friendly” will rate higher than those that are not designed for mobile devices. This change is sure to cause much consternation in organizations that have spent much time “optimizing” their web site for Google. The good news is this change only effects people who are searching via a mobile device, and certainly does not mean that the current ranking system is altogether obsolete. It’s more of a tweak to make sure mobile searchers will be lead to a site that will display properly on their device. So what is mobile friendly web site? 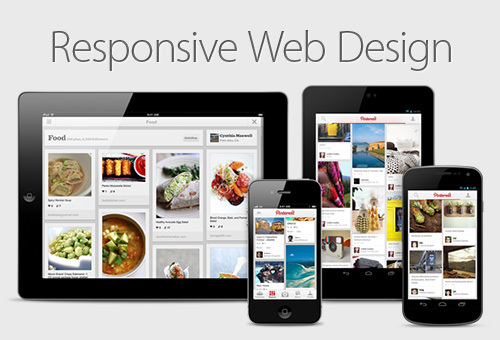 One of the hottest technology trends now is developing a “responsive” web site. Such a site actually alters its display based on the capabilities of the viewing device. Underlying all of this is the notion that your web page is broken into “grids” – i.e. a self-contained area representing a type of information such as “main content”, or “sponsorship.” The beauty of this is a responsive page can move grids around to fit your device. For example, a laptop may show the full display, whereas a smartphone may only show one section (grid) of the web page at a time, with the focus on vertical scrolling. So should this all worry you? First of all, check with your web designer to find out if your site is responsive. If you get a “yes” as a response then go to the step in the next paragraph. If not, it does not necessarily mean you are doomed. First of all, you need to ascertain if you are getting a lot of traffic from mobile devices. This should be easy if you have Google analytics or similar tools for your website. (If not, then you need to get a new developer!) While current estimates have that around 40% of all traffic is coming from mobile, that number may be much lower for niche sites. If your traffic is in the lower range, don’t hit the panic button yet – just work a move into responsive design into your plans. Google has provided a very nice tool to rate the responsiveness of your website. Just go to their guide to mobile-friendly websites. Enter the URL of your site and wait a few moments to get the results. If all goes well, you will get the passing “Awesome! This page is mobile-friendly.” It will even show a screenshot of how your page looks on a smartphone. If the test fails you will get a list of potential problems. When EventRebels needs to guarantee that a page meets with Section 508 compliant standards (i.e. ADA or accessible) we use a couple of other sites to verify our work. The WAVE web accessibility tool is particularly focused on those standards. There is also W3C Markup Validation Service that checks compliance with HTML protocols. The upshot to all of this is developing a responsive, compliant, website not only will you give you better search rankings but will help you to conform to ADA standards. This is not something to ignore as sites that not compliant have opened themselves up to litigation. Follow us on twitter for more articles like this posted every week! Look for us at D.C. area MPI and PCMA events!